In an age dominated by digital technology, The Body Electric explores themes of the real and virtual, the organic and artificial, moving from the physical world to the screen and back again. Looking across the past 50 years, the exhibition presents an intergenerational and international group of artists who have seized upon the screen as a place to rethink the body and identity, with a particular emphasis on questions of gender, sexuality, class, and race. The Body Electric contextualizes contemporary artists engaging today with digital technology and the influence of the internet within a broader art-historical narrative, to reveal shared interests that emerge across generations, despite differing technological means. The exhibition begins with a pioneering generation of artists active in the mid-1960s—Shigeko Kubota, Charlotte Moorman, Nam June Paik, and Wolf Vostell—for whom the television was both the subject and object of their expanded practices spanning performance, sculpture, and the moving image. Reimagined for the exhibition, a newly created installation by Joan Jonas conflates the physical world and its representation, while footage of performances by the Wooster Group offers a frenetic meditation on the all-pervasive presence of technology and the fusion of body and screen. Works by Sanja Iveković, Howardena Pindell, Paul Mpagi Sepuya, Cindy Sherman, and Amalia Ulman chart a history of artists turning the lens of the camera onto their own bodies, creating personal spaces of performance, whether via the 1960s Portapak camera or today’s selfie. Disembodied beings and digital avatars populate contributions by Laurie Anderson, Ed Atkins, Pierre Huyghe, and Sidsel Meineche Hansen, while sculptures by Robert Gober and Anicka Yi as well as an immersive installation by Trisha Baga explore the slippery ambiguity of materials poised between the digital and analog, the real and rendered. 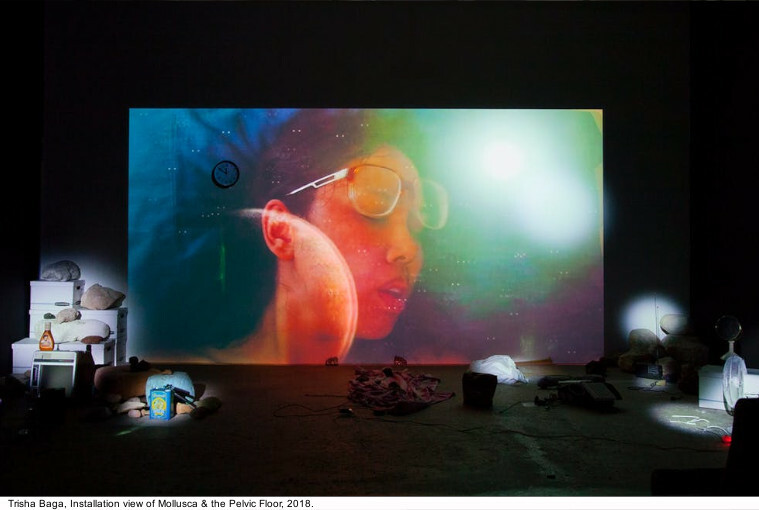 For Dara Birnbaum, Lynn Hershman Leeson, Sondra Perry, and Martine Syms, the lens of the camera creates a space to rethink the representation of socio-political identities and to question the structures that govern our understanding of race and gender. 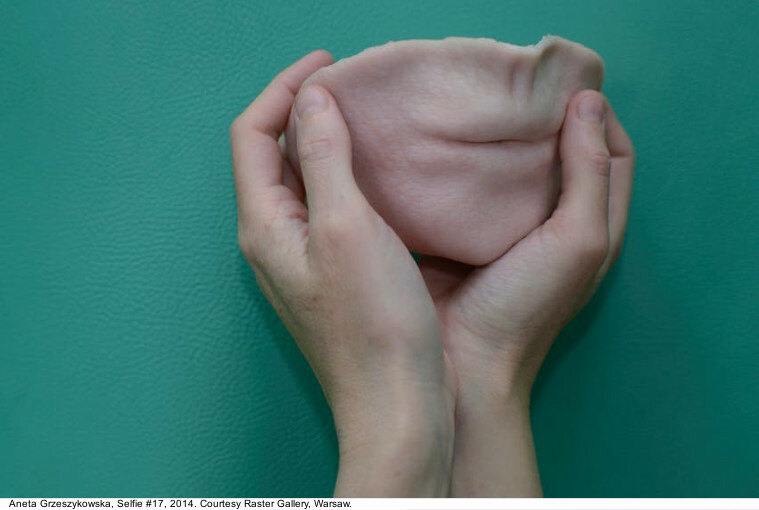 The presentation concludes with works by Josh Kline, Carolyn Lazard, Candice Lin, Patrick Staff and Marianna Simnett that reflect on the malleability of the body, speaking to themes of care, surgical intervention, and chemical and biological processes imperceptible to the human eye. The Body Electric is accompanied by Icosahedron (2019), an interactive commission by Zach Blas. 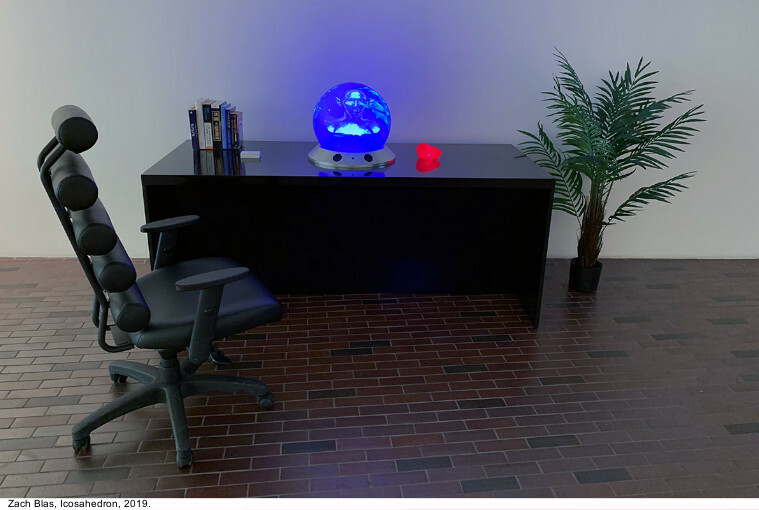 Conceived as a meta-work for the exhibition, the project takes the form of a work desk with an artificially intelligent crystal ball that predicts the future of prediction. Inspired by influential writers and thinkers such as Ayn Rand, Stewart Brand, Ray Kurzweil, and Michio Kaku, Icosahedron speaks to contemporary society’s preoccupation with the future, viewed through the intersection of technology, fantasy, and science fiction. The exhibition will be on view at the Walker Art Center Minneapolis, March 30–July 21, 2019, and then tour to the Yerba Buena Center for the Arts, San Francisco, September 6, 2019–January 26, 2020, it is curated by Pavel S. Pyś, Curator, Visual Arts, Walker Art Center; with Jadine Collingwood, Curatorial Fellow, Visual Arts, and it is made possible by generous support from the Carl & Marilynn Thoma Art Foundation.